Botrytis cinerea is a primary pathogen causing stem and fruit rot during pre- and post-harvest. In the present study, the main purpose was to inquire into the antifungal activity and potential mechanisms of thymol and carvacrol against B. cinerea. During the experiment, the effects of thymol and carvacrol on physical and biochemical parameters of B. cinerea were evaluated. Results indicated that thymol and carvacrol exhibited strong antifungal activity against the targeted pathogen, with minimum inhibitory concentration and minimum fungicidal concentration of 65 mg/L and 100 mg/L for thymol, and 120 μL/L and 140 μL/L for carvacrol. Thymol and carvacrol changed obviously the morphology of B. cinerea hyphae by disrupting and distorting the mycelia through scanning electron microscopy. The membrane permeability of B. cinerea hyphae was prompted with the increment of two chemical agents’ concentration, as evidenced by extracellular conductivity increase, the release of cell constituent, and the decrease of extracellular pH. Furthermore, a marked decline in total lipid content of B. cinerea cells was induced by the two chemical agents, suggesting that the cell membrane structures were destructed. 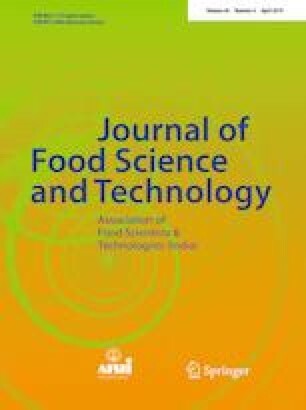 Therefore, present results indicated that thymol and carvacrol may be used as a good alternative to conventional fungicides against B. cinerea in controlling grey molds in horticultural products. This work was supported by Natural Science Foundation of Hunan Province (No. 2015JJ6108) and Ph.D. Research Fund of Xiangtan University (No. KZ08033).